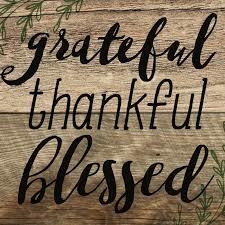 With Thanksgiving Day being yesterday, our thoughts turn to things to be thankful for and it occurred to me that some of the happiest people I know are also the ones that seem the most grateful. You know the people, I’m talking about – they don’t necessarily have the best of everything, but they make the best of everything they have. When you think about these grateful, happy people it seems that they live longer, healthier lives. And, it turns out they do. The work of University of California Davis psychology professor Robert Emmons, who discusses the positive psychology movement, notes how mental health professionals are finding that virtues like gratitude are beneficial to our health. “Grateful people take better care of themselves and engage in more protective health behaviors like regular exercise, a healthy diet, [and] regular physical examinations,” says Emmons, thereby leading to higher chances of longevity. Studies have consistently found that gratitude and positive emotions benefit physical health and coping and can also help individuals deal with daily stressors. Stress is the culprit of so many health issues, yet the simple act of feeling thankful can help combat it. Being thankful produces several benefits. Firstly, by being grateful, you’ll just be happier. In a recent study, people who journaled 10 items they were thankful for each week were 25% happier than those who did not. As noted above, being thankful improves our physical health. In addition, our relationships improve, we are more resilient, we sleep better and we are more satisfied in general. According to another study, happy people live an average of 10 years longer than pessimists and have a 77% lower risk of heart disease. We can affect some of our happiness by practicing intentionally being grateful. At John Knox Village East, we are surrounded by some of the happiest people around and they’re doing exactly what the research on gratitude suggests. They take better care of themselves by practicing regular exercise and a healthy diet. In our community, folks participate in exercise class, have nutritious meals available to them and socialize with their peers with numerous activities. They’re also people that demonstrate a happy attitude and can just roll with the punches, no matter what comes their way. Let’s try and be grateful more often and enjoy the health benefits it can provide on a more regular basis. While the feast and family gathering can be reserved for the annual occasion, the act of consciously practicing gratitude can become a habit of your everyday routine, leading to more positive thinking, a healthier existence, and increased life span. Call us at 660-584-4416 or email us at info@johnknoxvillageeast.com to find out how you can join this throng of happy people.